Ouagadougou (AFP) - The government of Burkina Faso has ordered former president Thomas Sankara's corpse to be exhumed, potentially rekindling controversy over the 1987 assassination of one of Africa's most idolised leaders. 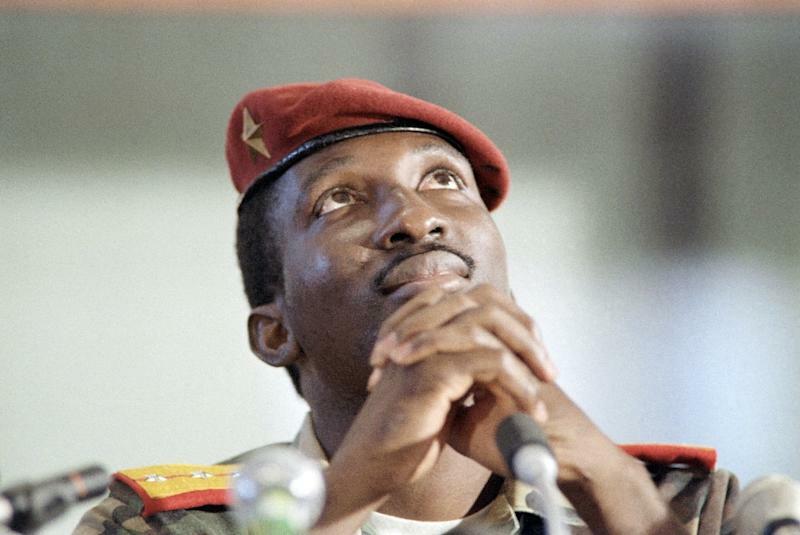 A government decree issued late Wednesday said the move was aimed at formally identifying the remains of Sankara, slain in a putsch that saw his former friend and protege Blaise Compaore take power. Sankara, a popular Marxist army captain who came to power in a 1983 coup, was buried in a cemetery in the east of the capital Ouagadougou but many of his family members doubt if the corpse is indeed his. Compaore held power for 27 years, but stepped down on October 31, 2014, after angry mass rallies opposing a bid to amend the constitution to allow him to stay in power. The new Burkina government headed by Michel Kafando said Sankara's family would be provided with the necessary means to help identify the corpse. But Sankara's widow Mariam on Wednesday denied that she had been approached by the government on the issue. Sankara's family has been asking in vain since 1997 for an investigation amid claims that the corpse buried in his grave was not that of the former leader. Compaore's regime obstructed their efforts and even ignored an order from the African Court on Human and People's Rights for DNA testing of the body in Sankara's grave. A pan-Africanist revolutionary, Sankara transformed what was then the former French colony of Upper Volta into Burkina Faso, which means "Land of the Upright Men". His spirit loomed large during the recent anti-Compaore protests. After taking power in November, Kafando promised to look into the questions over Sankara's body. Sankara is still revered in the west African region almost 30 years after his death and a documentary on the revolutionary was a star draw at the latest edition of Fespaco, Africa's largest flm festival held every two years in Ouagadougou. The 90-minute film "Captain Thomas Sankara" made by Swiss director Christophe Cupelin highlights Sankara's iconoclastic speeches, including a call to Africa not to pay debts owed to the West. "If we pay them, it is us who will die," he famously said. Sankara also famously upbraided former French president Francois Mitterrand for officially receiving people like apartheid-era South African former president P.W.Botha. "How can one let these people, whose hands and feet are stained with blood, sully France, a country that is so clean and so beautiful?" he had said. Sankara's legacy was formidable. In the four years under his rule, the schooling rate shot up from six percent to 22 percent, millions of children were vaccinated, and thousands of health centres were created, according to Cupelin. Sankara's socialist revolution sought to dismantle the country's legacy of colonialism and economic dependence. He set up "revolutionary people's tribunals" to try former public officials charged with political crimes, and stripped traditional chiefs of their rights and privileges.